With so much rain and flooding around the UK at the moment the thoughts of students at Milton Park Primary school last week was more about the concern from too much water rather than how they could survive if they had less! Students spent the day learning about water sustainability and just how important it is to our lives and how we can all do our part to help save it as part of Avon Wildlife Trusts Trout and About project with Bristol Water. In some parts of the world children do not have their water on tap like we do here in the UK, but instead have to walk miles and miles every day to find the water they need. 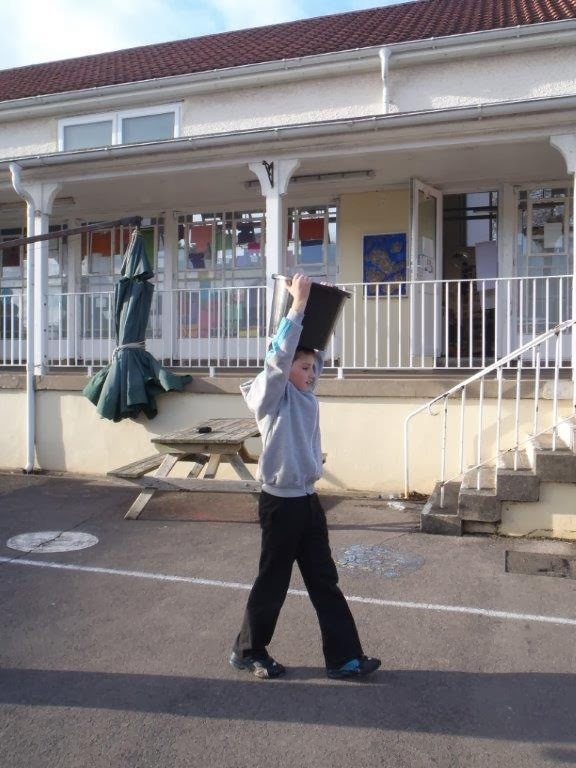 The Year 5's at Milton Park Primary School thought it would be easy to carry a full bucket from one end of the playground to the other and then back again (about 100 yards). Only 3 children out of 54 managed to do it - and that wasn't carrying it on their head! 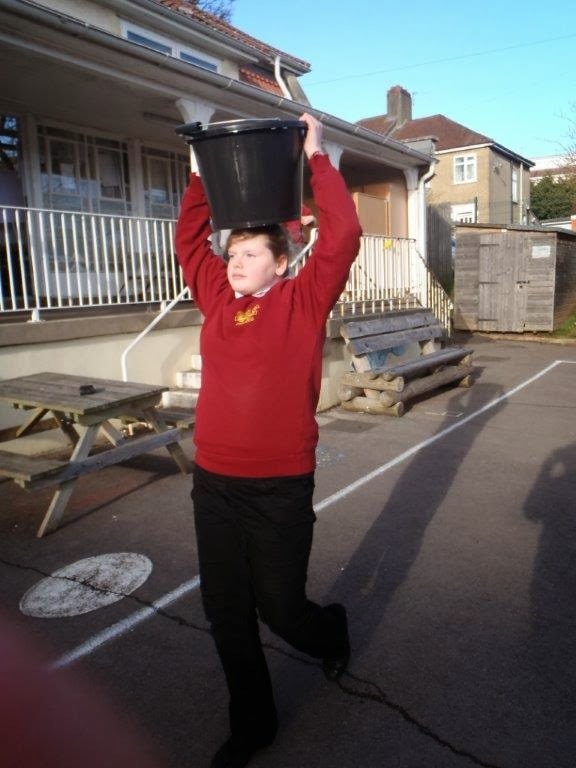 Lots of children were really shocked at how heavy the full bucket was to pick up - and then carrying it without spilling a drop was definitely even more of a challenge! 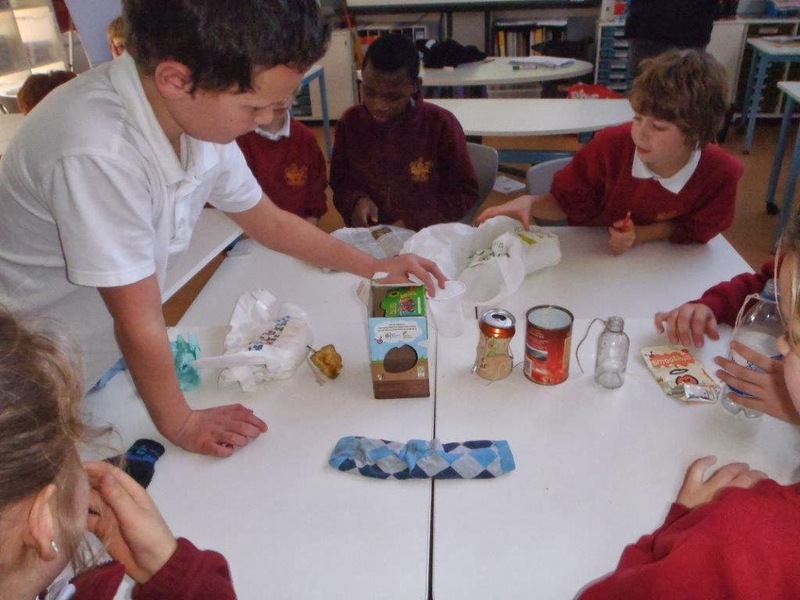 Students also learnt about every day waste and how long it takes to break down. How long does it take for a nappy to decompose? Does a cotton glove decompose quicker than a plastic bag? These are questions that the Milton Park Yr 5's had to think about when putting together a waste timeline. They were all surprised to find out that polystyrene was only invented 60 years ago, so we have no idea for sure quite how long it takes to degrade, but it is likely to be hundreds of years! Well done Milton Park, we hope the trout are all growing well.